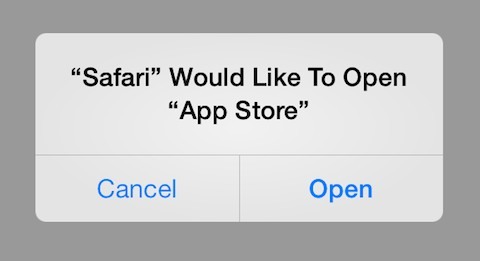 StoreAlert requests your permission before an app opens the iTunes Store or App Store. This is mainly aimed at preventing malicious app advertisements from automatically opening the App Store. • Fixes an issue causing the iOS 9 “Back to” button to be lost when opening iTunes/App Store links. • Adds exceptions for Tweetbot 4 and iOS’s built in iTunes/App Store product preview window. • Fixes an issue causing SpringBoard to crash when the source app can’t be determined. • Alert now matches the one in iOS 9.